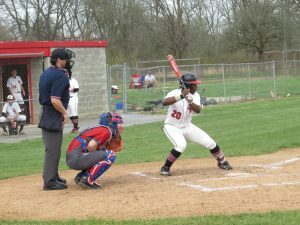 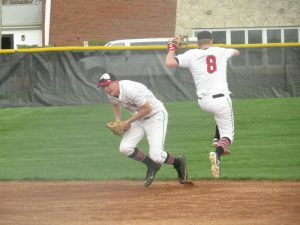 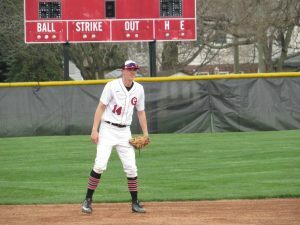 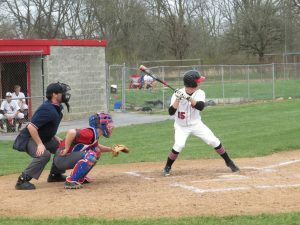 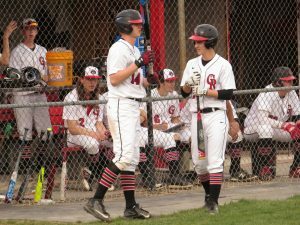 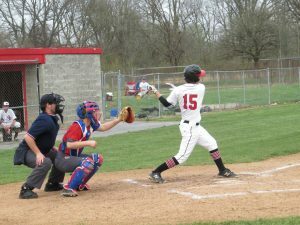 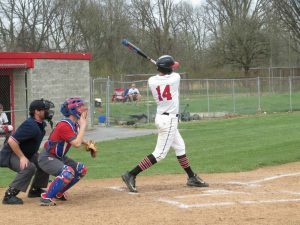 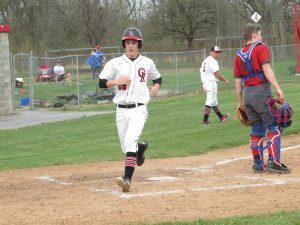 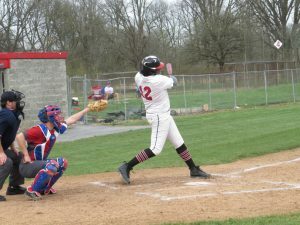 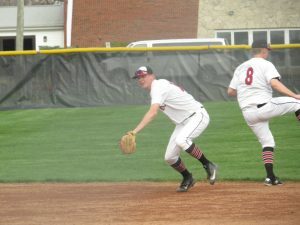 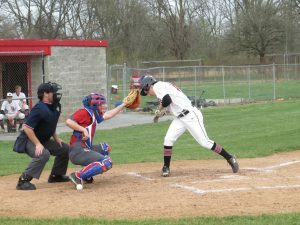 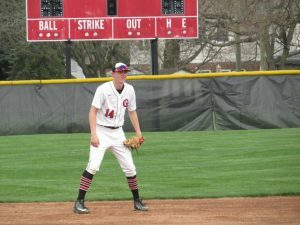 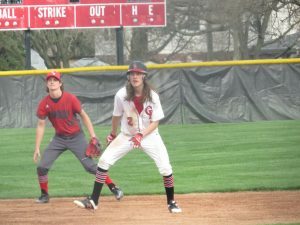 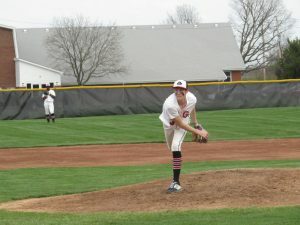 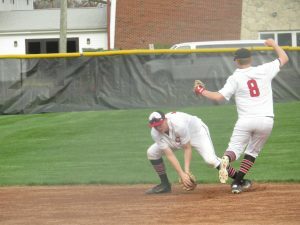 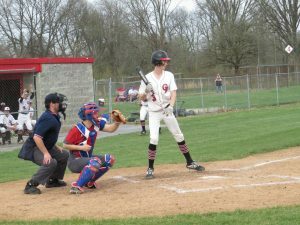 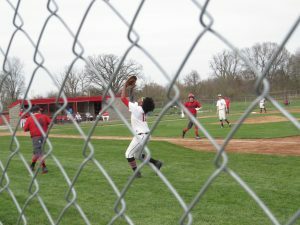 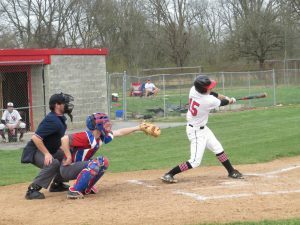 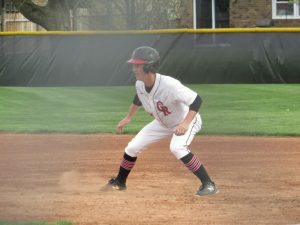 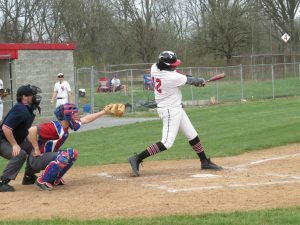 The Cardinal Ritter Baseball Team is beginning to find its way as they beat Eastern Hancock 13-3 on Wednesday and turned around and beat Clinton Prairie 8-1 on Thursday. 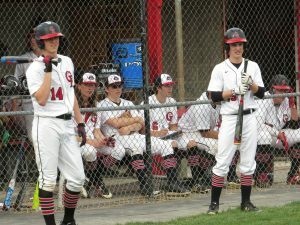 On Wednesday, the Raiders came out shaky and looked a little confused while spotting Eastern Hancock 3 runs in the first inning. 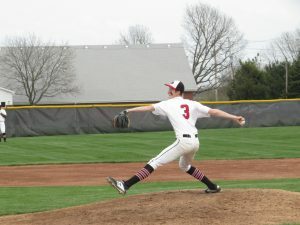 Jack “Rabbit” Henninger had his first start on the mound and needed to find his groove which he did in the 3rd inning. 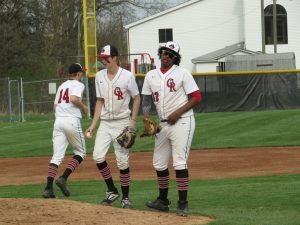 The Raiders scored 1 run in the first to make the game 3-1, then had a 23 minute half inning on offense where the team worked the counts and put up 7 runs. 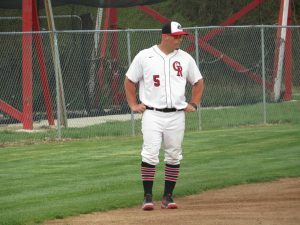 After 1 run in the 4th, 2 in the 5th and 2 in the 6th while blanking EH, CRHS came away with the win as the mercy rule came into effect in the 6th inning. 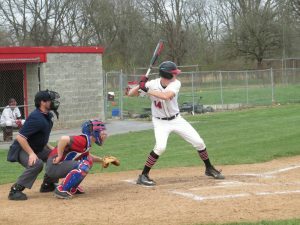 Drew Matter picked up his first career walk-off RBI single scoring Nick Salmon who picked up his first career base hit at the varsity level. 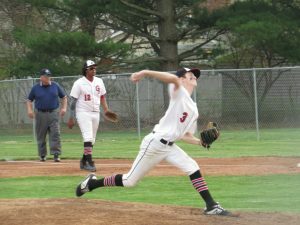 Henninger picked up the win going 5 innings giving up 3 hits, 3 earned runs, and fanning 8 batters. 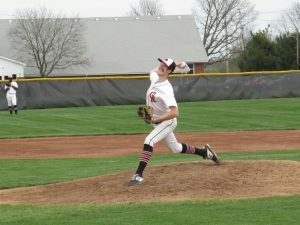 Aaron Roberts came throwing smoke to finish the game facing three batters and striking one out. 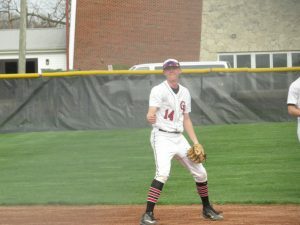 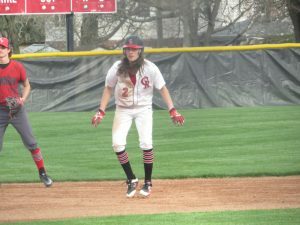 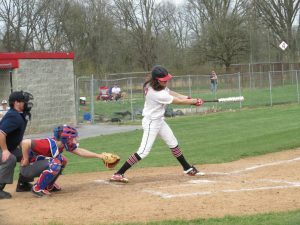 The offense was led by Joey Gruber who went 1 for 2 on the day reaching base 3 times. 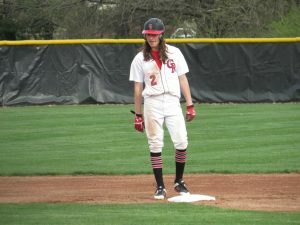 His speed played tricks on the defense as he picked up 4 stolen bases while stealing home in the process. 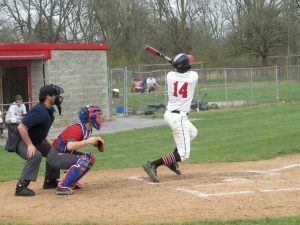 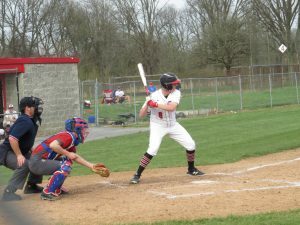 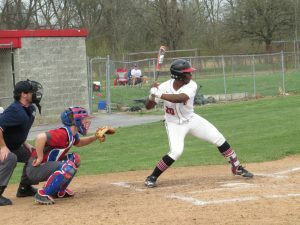 Conner Williams also picked up a hit and an RBI, Henninger added 2 RBI and Damien Horton added an RBI. 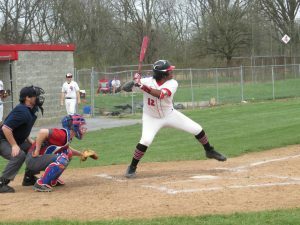 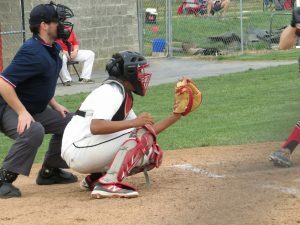 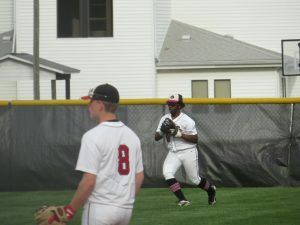 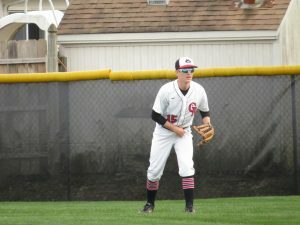 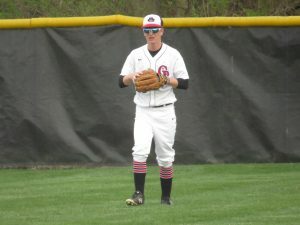 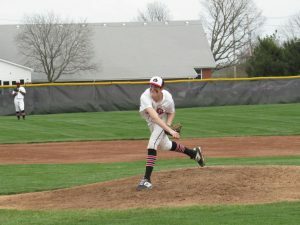 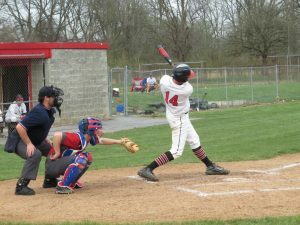 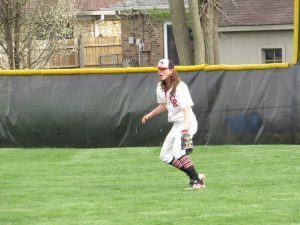 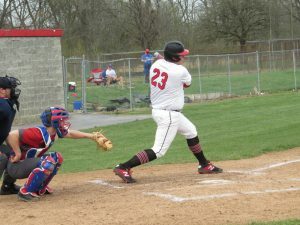 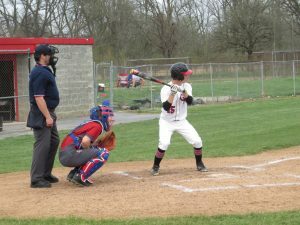 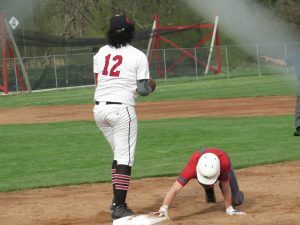 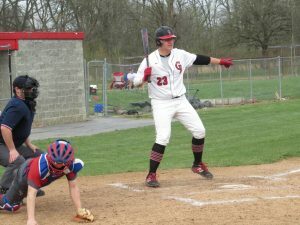 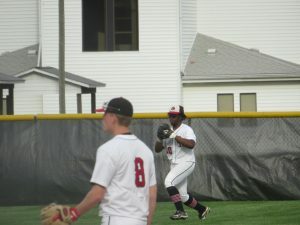 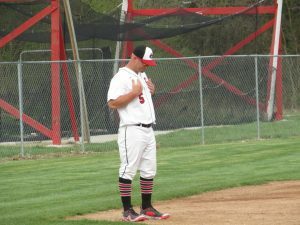 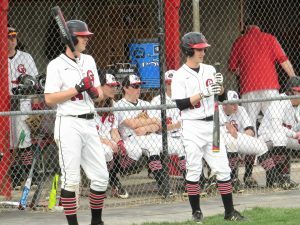 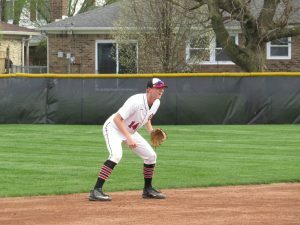 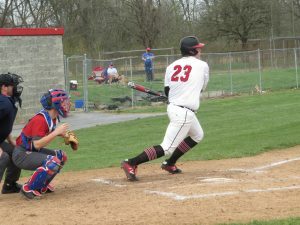 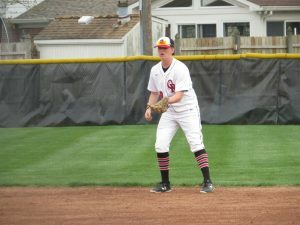 On Thursday, the Raiders faced a Clinton Prairie team that was playing some very good baseball. 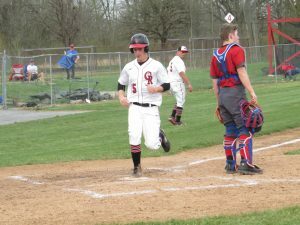 Cardinal Ritter picked up a run in the first as Grant “G-Man Eifert got hit by a pitch and advanced to second on a wild pitch. 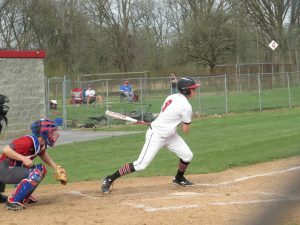 Roberts came up two batters later and laced a single up the middle scoring Eifert to pick up the first run of the game. 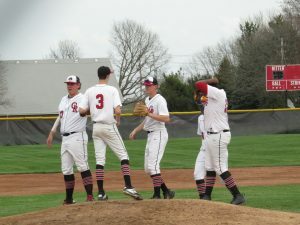 The Gophers picked up a run in the 3rd to even the score at 1. 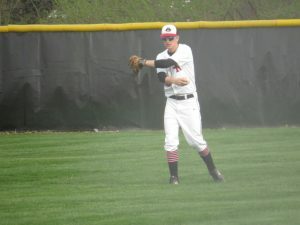 In the bottom of the 4th, DJ Boggs led off the inning with a first pitch home run over the left field wall to go ahead 2-1. 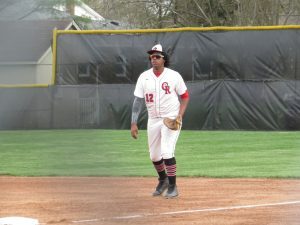 That score went into the 6th as the Raiders got into the CP bullpen scoring 6 runs in the second half of the inning and adding the insurance needed for the win. 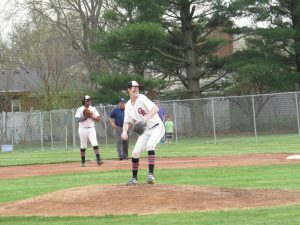 Damien, “Llama” Wallace was superb again, picked up the complete game victory scattering 3 hits while striking out 12 and giving up no earned runs. 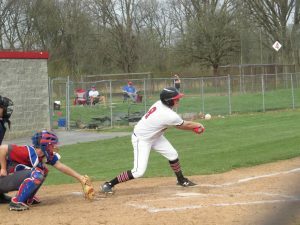 The offense was led by Boggs who went 2-4 with the home run and 3 RBI. 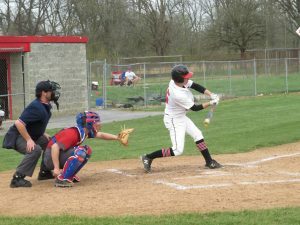 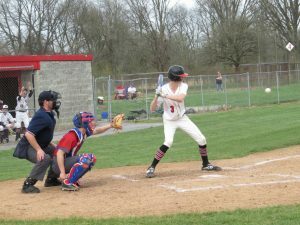 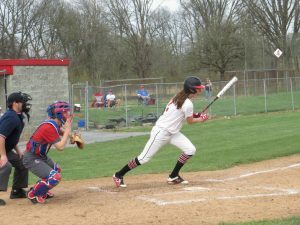 Roberts had the one hit and RBI, Henninger and Horton each picked up singles and Eifert had the other RBI on the day. 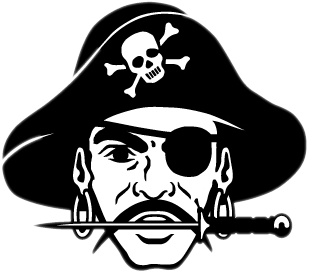 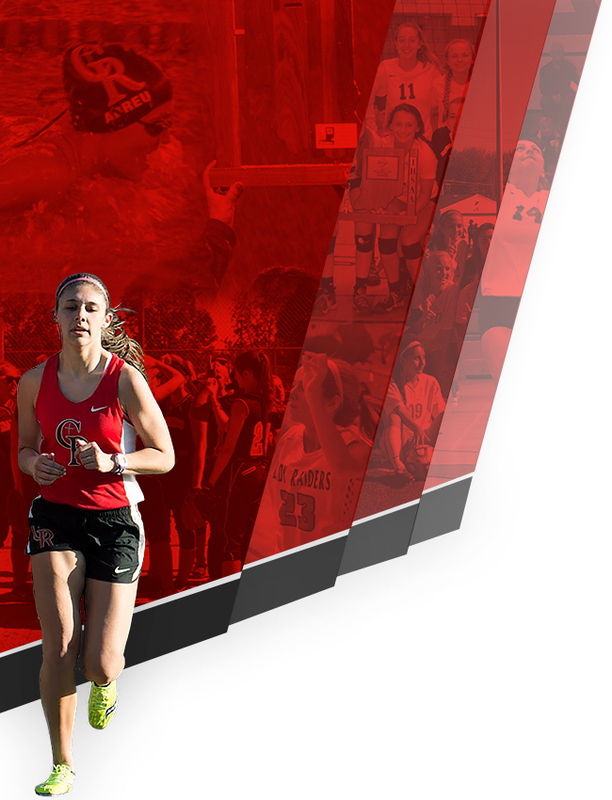 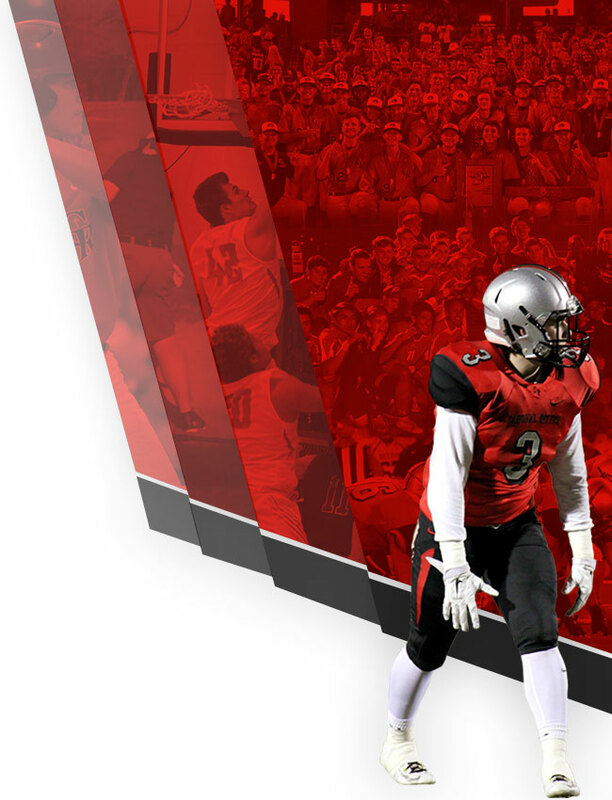 The Raiders are back in action Saturday morning as they host Heritage Christian at 10:30.